The recent EU referendum result has led to a great deal of uncertainty in many areas of the law, and family is no exception. 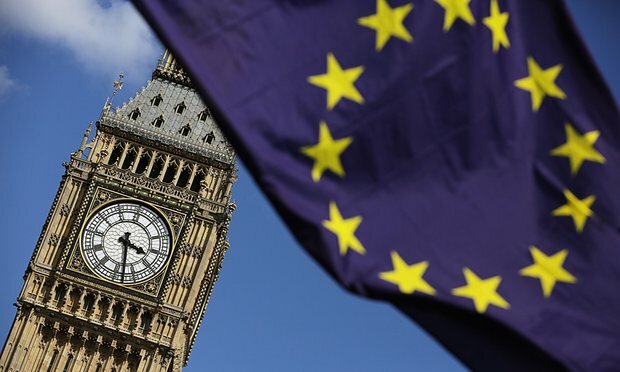 Although the exact ramifications are yet to emerge, it is likely the prospect of withdrawal from the European Union will have a significant impact on some areas of the law, such as jurisdictional rules for divorce proceedings; spousal maintenance; and child abduction, to name but a few. So far, post Brexit, nothing has changed. The laws which applied before the referendum still apply today, and it’s worth remembering that it will be at least two years before the United Kingdom formally leaves the European Union. Here is an overview, commissioned by Resolution (the family law organisation) that outlines the key steps people need to take now in order to give themselves as much protection as possible if the rules do change. The vote in favour of the UK leaving the European Union, has thrown up a lot of unanswered questions about the UK’s future and the position of Europeans living in post-referendum Britain. Below we have set out some answers to the questions people may be asking about their position now and in the months and years to come. Have you lost your right to live in the UK? No. The outcome of the referendum in and of itself changes nothing about the existing free movement rights which European nationals have. The referendum is not itself binding and will require further steps in order for us to begin the process of extricating ourselves from the EU. If and when the British Government decides to begin the process of leaving the EU, they will need to invoke Article 50 of Treaty on the European Union. This will trigger a two year period during which the terms of our departure will be negotiated. Article 50 has not yet been triggered, and it is unclear as to when this will happen. Unless and until we leave the EU, members of the EU should be able to continue to travel to and live and work in the UK under the same terms we currently have in place. What will happen once the UK has left? If the UK does leave the EU, the impact of our departure on EU citizens will depend on the outcome of negotiations. We expect that transitional arrangements will be made for EU citizens in the UK at the time of departure from the EU. While we don’t yet know what those transitional arrangements would be, it is highly likely that EU nationals who have spent five years in the UK already and who have acquired permanent residence would be able to remain under similar terms. We would expect transitional arrangements to also address the position of EU migrants who have not yet acquired permanent residence but are resident in the UK. Although we do not yet know what options would be open to them, we don’t expect that they would be forced to leave the UK. Although the campaign to leave the EU was often argued on the basis of ending EU Free Movement, prominent Leave campaigners have admitted following the outcome of the referendum that it is likely that Free Movement in some form could continue following a decision to leave. However, until any such agreement is made, we do not know what the position will be for EU nationals wishing to travel to the UK to live in the future. It is, however, very likely that travel between the UK and Europe for visitors will remain visa-free regardless of any decision on Free Movement. Applications for documentation from the Home Office confirming EU Free Movement rights require submission of an original EEA passport or ID card. While it is possible to request these documents back within 4-6 weeks of an application being submitted, this can impact on the ability of EEA nationals to travel during this time and if there is a rush of applications the processing time for return of passports could become longer. Therefore, where an EEA state offers the option of a national ID card as well as a passport, it is advisable to obtain this first so the passport can be retained for any travel during this initial application submission period. The most important step is to collect original evidence of your residence and status in the UK (employed, self-employed, student or self-sufficient) covering all the time you have spent in the UK – for instance, payslips, P60s, employment contracts, bank statements, council tax statements, utility bills and proof of accommodation. You should obtain clear proof of comprehensive private medical insurance for any periods in the past when you were not employed or self-employed, and for any periods when you stop working in future – for example if you study, take a break between jobs or leave employment to set up a business. If you are made redundant or become involuntarily unemployed you should register as a jobseeker with JobcentrePlus. If you have been working for at least one year, are made redundant and register as a jobseeker you can maintain your status as a worker and count any such period of unemployment towards acquiring permanent residence. If you do not register as a Jobseeker you will need to have comprehensive private medical insurance in place before the date of termination of your employment. Put together a record of all your travel over the last six years, and keep a record of any future travel. Absences of more than six months in total in any year may prevent you from obtaining permanent residence after you have completed five years’ residence. There are some exemptions to this limit – for instance, if you are posted abroad for work for more than six months (but only up to a permitted one-off maximum of 12 months). You will need to obtain confirmation of the reason for the absence from your employer. If you are leaving a job, try to obtain this confirmation before you leave. Apply to the Home Office for a registration certificate or, if you have already been in the UK for five years, a document certifying permanent residence. These documents do not in themselves confer any rights but they could be used to show that the British government has acknowledged that you are exercising your right of residence or have acquired permanent residence. If you have been living in the UK for at least six years, consider applying to the Home Office for naturalisation as a British citizen. This can only be done after obtaining a document certifying permanent residence. Before applying, you should check whether your country of origin permits dual nationality and whether it will impact on your tax position. If you have any non-EU family members (eg. Spouses, dependant relatives), becoming British could impact on your ability to rely on your EU rights so take advice on this first also. Consider applying to HM Passport Office for a British passport for your children born in the UK. A child born in the UK on or after 30 April 2006 to an EU citizen who acquired permanent residence before the child’s birth is automatically a British citizen, even if the EU citizen parent has never held a document certifying permanent residence. There are different rules for children born before 29 April 2006, and different rules again for children born before 2 October 2000. Children who were born in the UK but did not automatically become British at birth have an entitlement to register as British citizens if one of their parents acquires permanent residence. They can also be registered if they were born in the UK and have spent the first 10 years of their life in the UK.